The Fotona SP Dynamis Laser system is a powerful, feature-rich cosmetic laser system that combines powerful erbium laser technology with superior system design. The SP Dynamis utilizes state of the art scanners and multiple fractal options to deliver impressive results with the most popular cosmetic procedures. It’s safe for use on all skin types and offers the ultimate experience in safety and precision. The Fotona SP Dynamis was designed to deliver optimal procedure speeds and powerful treatments that are performed at a fraction of the system’s full power capabilities. As a result, the SP Dynamic delivers the highest system durability and lower operating costs than the competition and is a great value for growing practices. Ideal for a variety of cosmetic proceeders, the Fotona SP Dynamis is a leader in Er:YAG lasers. The system is easy to use, with a high performing, advanced hand piece that optimizes the delivery of laser pulses to the treatment area for the most effective results. 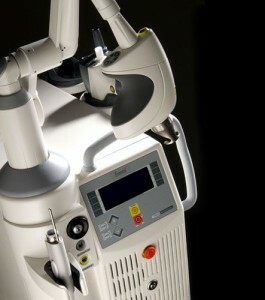 Interested in adding the Fotona SP Dynamis laser system to your practice? The Fotona SP Dynamis is the perfect addition to any busy cosmetic practice looking to expand its service offerings to include a wide variety of the most in-demand cosmetic treatments. SunrayLaser.com has amazing deals on used Fotona SP Dynamis laser systems with savings that are up to 60% off the original price! See for yourself how much you can save on high quality cosmetic laser equipment like the Fotona SP Dynamis and other used laser equipment when you buy from SunrayLaser.com. If you are looking for pricing information on a pre-owned Fotona SP Dynamis laser system, please fill out the contact form below and we’ll send you a free, no obligation quote.